Admit it. You kind of think of Newark as the red-headed stepchild of its bigger, more glamorous sister, New York City. Wrong! Admit it. You kind of think of Newark as the red-headed stepchild of its bigger, more glamorous sister, New York City. Wrong! 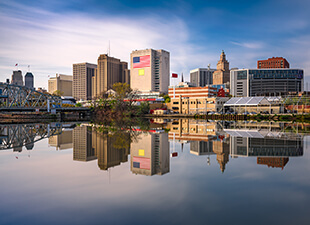 Visit Newark with an open mind and a list of great spots to discover — you’ve only got a small amount of time, you know — and you quickly learn it’s a great destination for anyone. Any local will tell you it certainly doesn’t lie in any city’s shadow. Get ready to explore what gives Brick City its charm with these six things to see and do. New York City’s Grand Central Terminal gets all the press, but Newark Penn Station is every bit as awesome. Designed by McKim, Mead, and White (the same firm that designed Penn Station in NYC), it looks like a love letter to Art Deco design. Even if you aren’t taking a train, it’s worth stopping in just to see it for yourself. The best features include gleaming terrazzo floors and sculptural wall medallions. Don’t think that’s cool enough? The doorways are topped with Art Deco sunbursts, and the waiting area is decorated with all the zodiac signs. 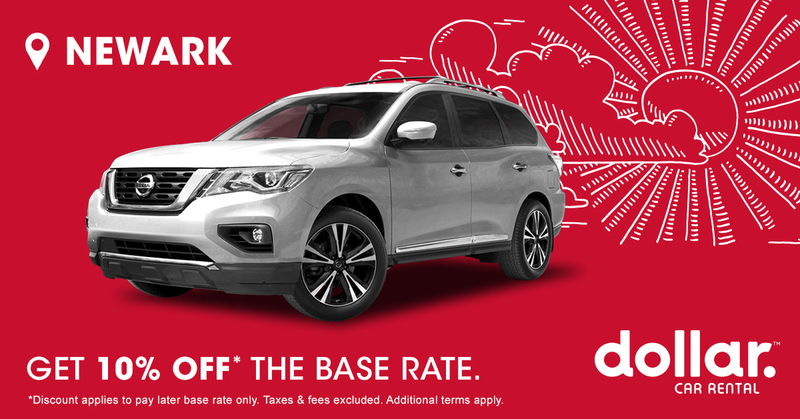 Think you can’t escape the concrete jungle? Think again! Newark’s home to several parks, including Branch Brook Park, possibly the best of the bunch. It offers miles of pathways, fields for tossing a ball or playing frisbee, a fishing hole, plenty of greenery, and some fun playground equipment for kids. If you can’t imagine how awesome it is, just remember it was designed by Frederick Law Olmsted, the same dude who designed Central Park in New York City. 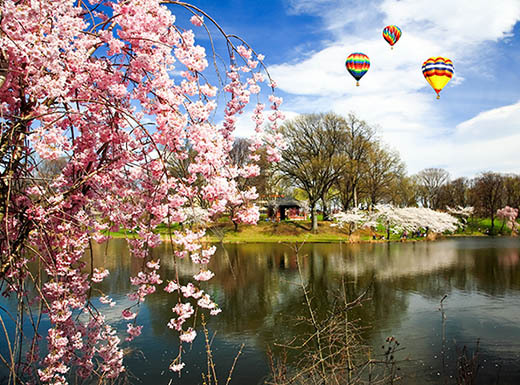 Best of all, if you’re lucky enough to visit in spring, you get to see the amazing cherry blossom display that blows Washington D.C.’s right out of the water. 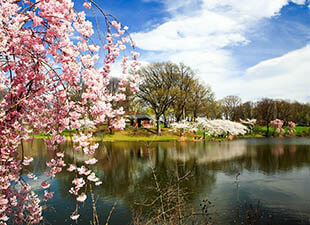 In fact, Branch Brook Park has more cherry blossom trees than anywhere else in the world outside of Japan. If the greenery in the park isn’t enough for you, head over to the Greater Newark Conservancy, located on 1.5 acres downtown. You’ll feel like you’re far from the city as you stroll down the garden paths, explore the 10 themed gardens, and relax by the pond. It’s the perfect spot to take a break from the hustle and bustle of the rest of the city. Holy Moly! 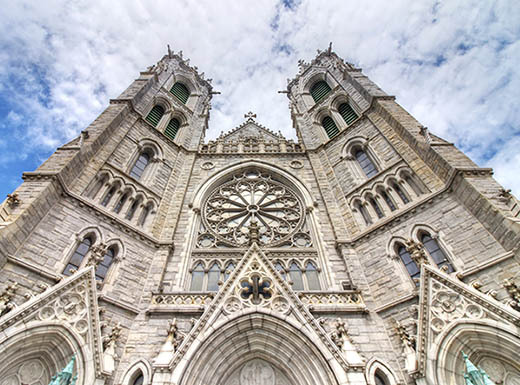 The Cathedral Basilica of the Sacred Heart is a popular spot on lists of things to see, so don’t be surprised if it’s a little crowded — but it’s totally worth it. If you love amazing architecture, you may have trouble dragging yourself away from the amazing French Gothic style. Even if you’re not in to cool buildings, you might recognize the cathedral from “The Sopranos.” It was in the background of scenes from time to time. City Without Walls (CWOW): This is the city’s oldest contemporary art space, and it combines exhibits and traveling art shows with an educational and outreach program that connects budding young artists with mentors. CWOW gets the street cred for many of Newark’s best public murals. Aljira: If you find yourself strolling along the waterfront, be sure to stop at this gallery. If you’re lucky, you might catch a live performance or an exhibit from a soon-to-be-famous artist. It’s known for promoting diversity and showing under-represented artists. Paul Robeson Galleries: This group of four galleries is part of Rutgers University. It includes lots of cross-cultural work from students and famous artists. Newark Museum is great, but if you want to get a feel for Newark’s unique vibe, Seamen’s Church Institute is the place to go. Located in the center of Port Newark, it lifts the curtain on how goods make it to store shelves. 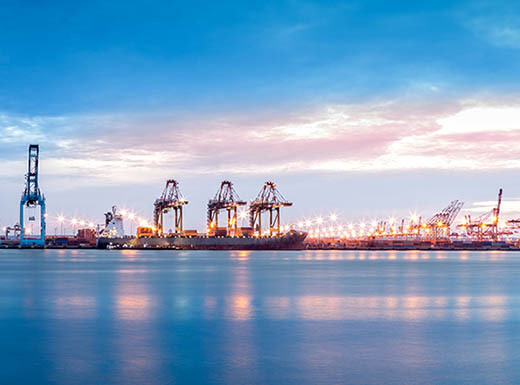 Walk among towering cranes, dodge straddle carriers, and hobnob with seafarers. Bonus points for taking a selfie by the hugest pile of salt you’ve ever seen! While you’re in town, grab a hoagie, an order of disco fries, and a slice of tomato pie — yep, tomato — to eat like a native. After your return, we have tons of inspiration for your next destination waiting for you on Twitter. Have you discovered NYC’s cousin, Newark, NJ? When it comes to family vacations, Newark is a fun — and affordable — alternative to the Big Apple. Into antiques and collectibles? Check out these 5 flea markets in Newark, New Jersey. From vintage jewelry and vinyl records to antique car parts and furniture – and so much more – they have something for everyone. Heading to Newark, New Jersey with your friends or family? There’s no shortage of activities in Newark to keep the whole gang busy. Use this guide to learn more.